This guideline provides the most recent definitions and classifications of urticaria which provide Indian physicians an evidence-based diagnostic and therapeutic approach. Experts from different medical systems from all parts of India with patient variations regarding access to diagnosis and treatment were taken into consideration. Symptoms of other organ/systems involvement such as the pulmonary tract (wheezing and cough), the gastrointestinal (GI) system (vomiting and diarrhoea), the nervous system (dizziness), or the cardiac system (changes in blood pressure or heart rate) should be evaluated in cases of anaphylaxis. Numerous other disorders such as cryoglobulinemia (chronic lymphocytic leukaemia), serum sickness, connective tissue disorders such as systemic lupus erythematosus, thyroid disease, neoplasms (especially lymphoreticular malignancy and lymphoproliferative disorders), and other endocrine disorders should also be evaluated for in some suspicious cases. The treatment approach of CU is mainly concerned with the removal or avoidance of the cause/stimulus and reducing the mast cell mediator release and/or the effect of these mediators on the target organs using pharmacological treatment to induce greater tolerance. Strong anticholinergic effects and sedative action are seen on the central nervous system for more than 12 hours after taking a first-generation antihistamine whereas the therapeutic action is seen for only 4-6 hours. Disturbed rapid eye movement, sleep, and cognitive functions are most when the drugs cross the blood-brain barrier and interact with brain H1-receptors. The development of the newer second-generation antihistamines such as cetirizine (a metabolite of hydroxyzine), loratadine, and fexofenadine led to improved drug safety since these molecules are non-sedating metabolites of earlier sedative antihistamines. According to this consensus, modern second-generation antihistamines are the treatment of choice, but in some selected refractory cases, hydroxyzine can be used because it is easily available and is low in price. Most urticaria patients that may not respond to normal antihistamine doses will benefit from up-dosing of antihistamines. Desloratadine, fexofenadine, and levocetirizine are the most commonly used second-generation antihistamines in India for the treatment of urticaria. Their safety and efficacy are seen even at doses up to four-fold more than the standard doses, and therefore they should be considered as the second-line treatment for CSU/CINDU. 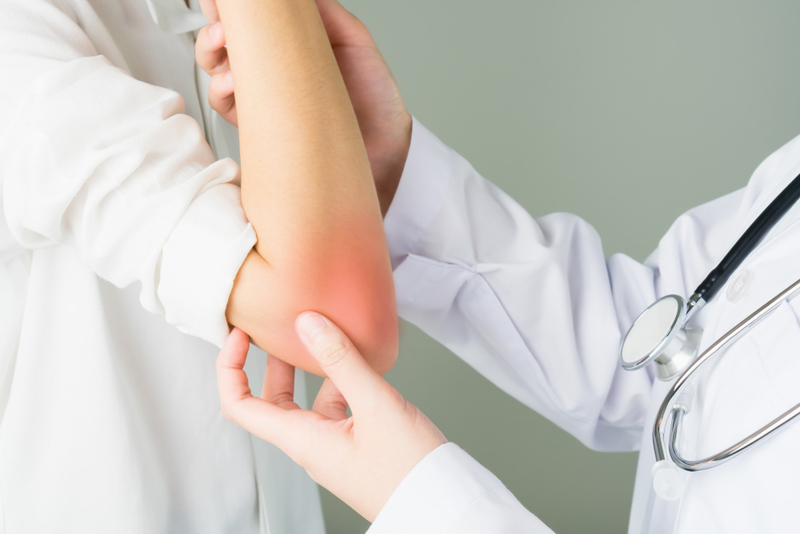 CSU patients that are resistant to antihistamine therapy are frequently treated with oral corticosteroids, but controlled studies have not been done. On retrospective analysing 750 patients, it was seen that 50% of patients with antihistamine-resistant CU were successfully treated with prednisone (25 mg/day x 3 days, tapered to 12.5 mg/day x 3 days, and then, 6.25 mg/day x 4 days) when given as a single course. Cyclosporine in low doses is recommended in cases of CSU/CINDU. A double-blind RCT has confirmed significant improvements of symptoms in patients with CSU when cyclosporine at a dose of 3-5 mg/kg for 16 days was combined with cetirizine. Blood pressure, blood urea, and creatinine require regular monitoring during this treatment. Omalizumab has been approved by the US Food and Drug Administration and the European Medicines Agency in adults and adolescents suffering from refractory CSU. The effectiveness of omalizumab has been also verified in the Indian population suffering from CU and not responding to the other treatments. Methotrexate can be used for treating corticosteroid-dependent CSU and urticarial vasculitis according to some case studies. Adding methotrexate (15 mg weekly) for 3 months in refractory CU cases did not show any significant additional benefit over H1-antihistamines in a small sized Indian randomized control trial. Montelukast is an antagonist of leukotriene, and it is either used alone or in combination with H1-antihistamines. At a dose of 10 mg/day, it is considered effective in treating CU, but the results were not that promising. Montelukast monotherapy is useful in food additives and in NSAID-induced urticarial symptoms. This guideline states that there are no additional advantages of montelukast over the standard antihistamines and it should not be regularly considered for treating CU, but it can be used as an adjuvant in chosen refractory cases. The consensus guidelines oppose the use of dapsone in the treatment of CSU/CINDU as it is lacking in evidence and the possibility of serious side effects. Dapsone usually causes side effects such as methemoglobinemia, peripheral neuropathy, and hepatotoxicity. It is compulsory to rule out G6PD deficiency before giving dapsone. Doxepin has H1/H2-antagonistic action but it is mainly a tricyclic antidepressant. Doxepin at a dose of 10 mg TDS was found to be more efficacious with lesser sedation in patients with CU than diphenhydramine at a dose of 25 mg TDS according to a double-blind cross-over study. Cause and /or triggers of the disease should be removed wherever feasible. Second generation antihistamines provide symptomatic relief in children and therefore they are strongly recommended but studies on the safety of up-dosing in children are lacking. Usage of the second-generation antihistamines have shown no teratogenicity or birth defects in pregnancy, but it all antihistamines are best avoided in pregnancy, especially during the first trimester. In the early stages of pregnancy, hydroxyzine is contraindicated. Cyclosporine usage leads to preterm delivery and low birth weight in human infants, but it is not teratogenic. Mizolastine is not recommended in cases of hepatic impairment. Note: The sedating effect of chlorpheniramine and hydroxyzine is not suitable and therefore they also need to be avoided in severe liver disease. Only half of the recommended dose of cetirizine, levocetirizine, and hydroxyzine should be given to patients with impaired renal failure. In cases of severe renal failure, cetirizine and levocetirizine are not to be used, whereas loratadine and desloratadine can be used with precaution.